Back in the day, just when the app revolution had begun, app developers everywhere were making it big. They were busy making apps for every purpose and reason. It was like the gold rush had happened all over again and both, big and small firms from benefiting from it. Just like websites, everybody was in desperate need of an app. App stores run by the likes of Apple and Google began to host millions of apps in less than a decade. However, like always, things began to simmer down. Today, the ROI on apps isn’t what it used to be. Even app adoption is limited these days. In fact, statistics tell us that almost 75% of new apps are downloaded and discarded in a matter of days. Apps aren’t the big deal they used to be and for all you now, you could actually end up losing money on them. Does this mean that apps are a waste of time now? No, not at all. Apps can still pave the way for success. It’s just that things aren’t easy anymore. An app is still very capable of creating a sustainable audience as long as it can advertise, build a loyal customer base, and serve as a platform for earning revenue via various sales methods. But, it is an expensive affair at the end of the day. 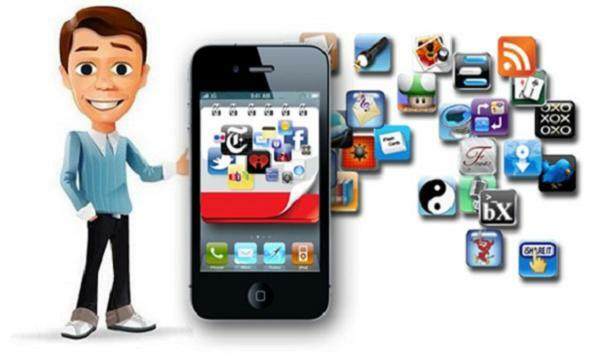 App development costs around $200, 000 and the returns on it is just around $4000 per month. It’s obvious that possessing a large user base isn’t enough to invest in an app strategy anymore. So, what should a business do? Well, it needs to consider a lot of things before investing into an app. Here are a few key factors to look at. As a business, can you afford to have an app? No, we aren’t just talking about paying your mobile app developer to create an app. We’re talking about associated costs as well. Can you afford to market your app? With app searches becoming more complex, it takes more than just word of mouth to spread awareness about your app and much more to actually get your customers to use it. Content creation is a core component when it comes to app based marketing. Is there a team of content experts who can support your content needs? Creating an app is just the first step. You need valuable content to actually engage with customers and to keep them coming back. If you don’t have a worthy content team, an app might turn out to be a bad move. Apart from having a good content team, you also need the resources to support the content team, which means more money to be spent. An app isn’t some magical, self-sustaining entity. It is an imperfect tool that needs to be improved time and time again. If you can’t fix issues on time, you are bound to lose users. Even if your app is one of the better ones, you will still need to optimize it to suit changing needs and requirements. Once again, resources will need to be allotted for this purpose. Do you have the talent needed to manage your app? Yes! Apps need managers too. You need someone to assess the app’s performance, study customer feedback and continuously improve the app’s functionality based on retention and acquisition. If you don’t have someone or something to do that, an app may not be your best option. An app needs to have a lasting platform. You can’t always sustain a platform using methods such as in-app purchases or subscription offerings. Also, considering the fees charged by Apple and Google, you could very well end up with a platform that loses money. Your app must deliver a physical service/product in order for it to be actually valuable. So, before you go about demanding an app, think things through. Carry out a few tests with a basic prototype. See how that works for you. Collect feedback from industry experts who’ve gone the app way before. Conduct surveys if you have to. Apps are still very much the future, but the dynamics have changed and your business needs to adapt in order to make the most off an app. Diligence is a much needed thing at this stage.